Troy Parke. 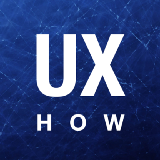 Product Design & UX “How To” insights. Sr Manager Product Design @disney. Former design @alaskaair @bigfishgames. Donuts, LEGO & Hello Kitty. Everyday I am learning, relearning and reminded of simple lessons in UX.